The Photographic World of Drew Gardner: Canon missing a trick with their new cinema lenses? Canon missing a trick with their new cinema lenses? Canon kicked off the DSLR revolution (it was just that despite what others may tell you...) and have progressively updated DSLR's in the line through new models and clever firmware upgrades to the MkII to dominate this segment. They followed this impressive foot hold with the Canon C300 and have shown the C500 which when released will answer many of the (mostly unfair) criticisms levelled at the C300. To cap this, Canon have started to roll out the release of a range of cinema lenses too which are very serious offerings indeed. I'm delighted that Canon are doing this, I even suggested way back in 2009 to the mass of Canon representatives at 'Converge 1' held at the National Film Theatre in London that this would be a good idea. So why do I think that Canon could be missing a trick? I had been mulling this over in my mind for a while but what crystallised the thought was the announcement of the Canon 14.5 - 60 Cinema lens which looks to be a superb offering(check out the AbelCine Review) but has a very high estimated street price, while these figures are not confirmed I have seen numbers of anything up to $20,000 banded about. $20,000 per zoom lens is way out of my league. It may be of a 'modest' size in terms of cine lenses but weighing in at more than 8lb's (4.5kg's) really takes it out of 'Run and Gun' territory, even if you could afford it. This is a zoom range which I use a lot with the C300 which leaves me little choice but to use the Canon EF-S 17-55 F2.8. A lens which has a good zoom range, good optical quality, image stabilised (a real boon when shooting handheld) and a constant F2.8 f-stop. That is the good news - now for the bad. It's build quality and action of focus and zoom are shall we say, a little flaky at times. As I'm sure Canon would admit, not really optimum for pro video use. On occasion robbing you of very smooth actions that you need. Not helped at all by the fiddly, tiny focusing ring. 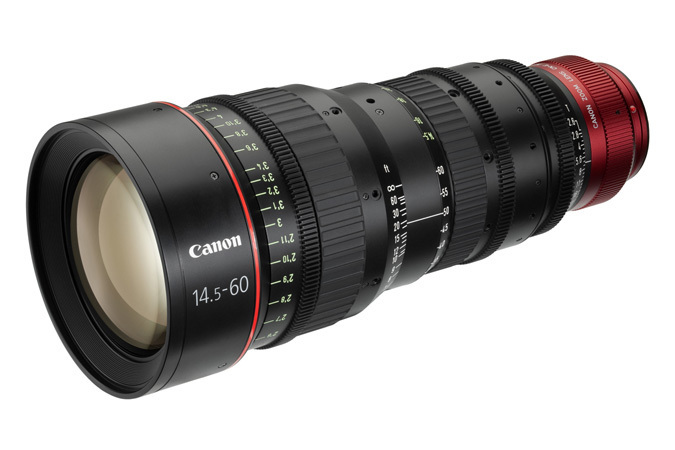 The choices open to a Canon user when the 14.5-60 cinema lens is finally launched will be to buy one of these for $20,000ish or $1000 on the EF-S 17-55. Prime lenses are all well and good, and there are some fine offerings from Canon and Zeiss but often a zoom is of much more real world use. How about a compact 'L' series zoom lens which covers 17-55 range, with some of the features of its big brother, retaining IS which would have a street price of $3000? Over to you, Canon, Zeiss or perhaps even Schneider? Whoever pulls it off will have a sales hit on their hands in this so far neglected section of the market. "The new ZEISS compact lightweight zoomlenses will cover full still format 24x36 mm and complete the line of Compact Prime CP.2 lenses with interchangeable mount. More details about it will be announced at NAB 2012." 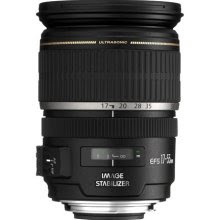 Allegedly a 70-200 mm f/2.8 according to photorumors.com (should probably be T2.8 - right? ), and while I don't think it will be cheap, it definitely looks like it will be more affordable than their professional line of cine lenses. Price and compactness seems to be relative. From my estimation the size still looks pretty big. Urgh - see your point about the price, I had not found any info about it. Not much hope for the rest of the "compact" line then, I'm afraid. Hi. Thank you for sharing your blog. It helps me a lot! Out and about with the Canon C300.